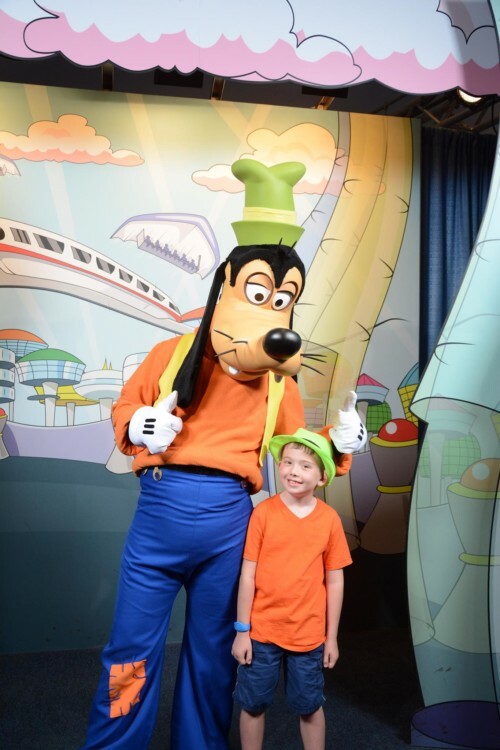 Home » Blog » Disney Worldwide » DisneyBounding: Why is it so Much Fun? 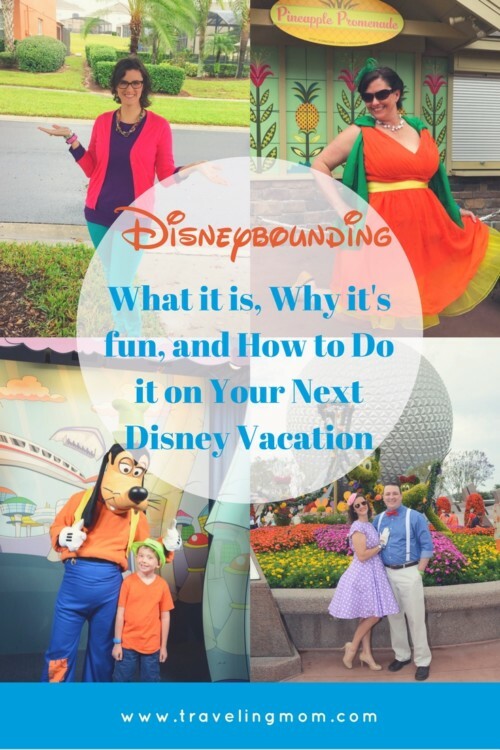 What is Disneybounding? Why should Disney fans do it? Many times these questions keep fans from giving this easy, fun activity a try, but I’m here to put your mind at ease. 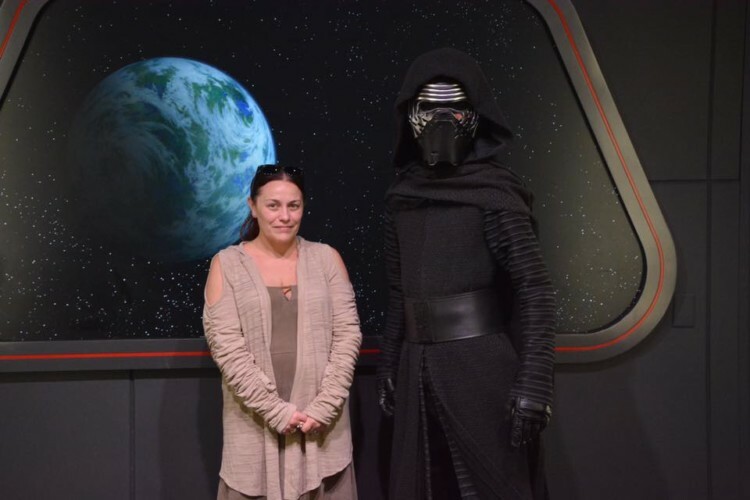 It’s a lot simpler than it looks, and Disneybounding is a fun way to share your fandom without breaking the bank or wearing a costume all day. 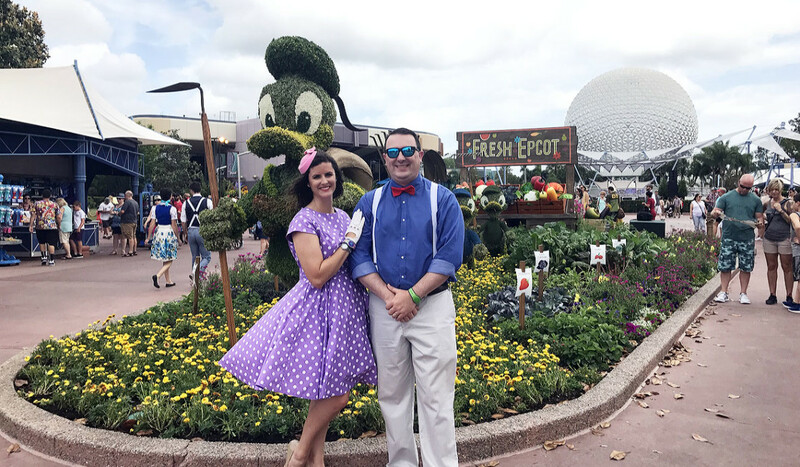 Find out my best tips for making Disneybounding part of your Disney vacation wardrobe. Dressing for a Disney Parks vacation is unlike any other vacation experience. 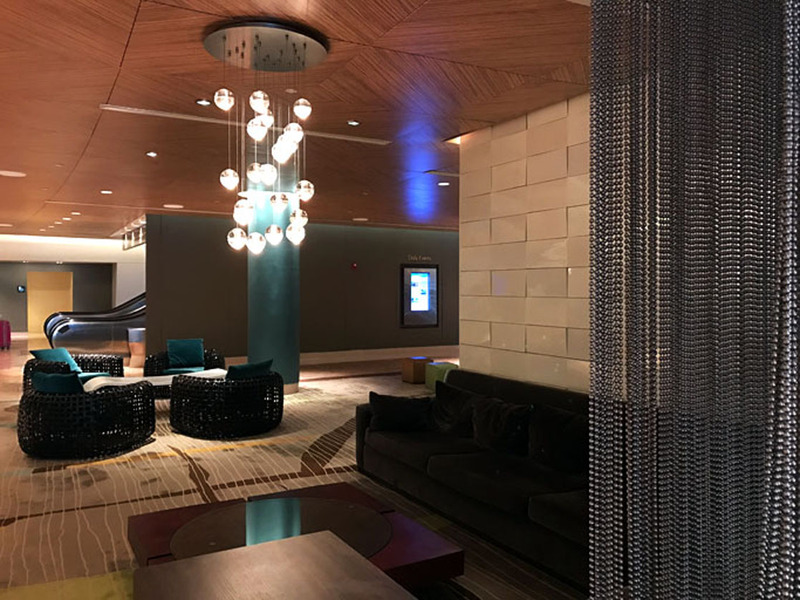 Comfort is key, especially in the unpredictable climate of Orlando, Florida. When considering what to wear, most vacationers opt for t-shirts that proudly display their love of all things Disney. I encourage you to think outside the t-shirt box and give Disneybounding a try. Never heard of Disneybound? Afraid it’s too complicated? Keep reading to find out why I think it’s fun and certainly a lot easier than you’d think! 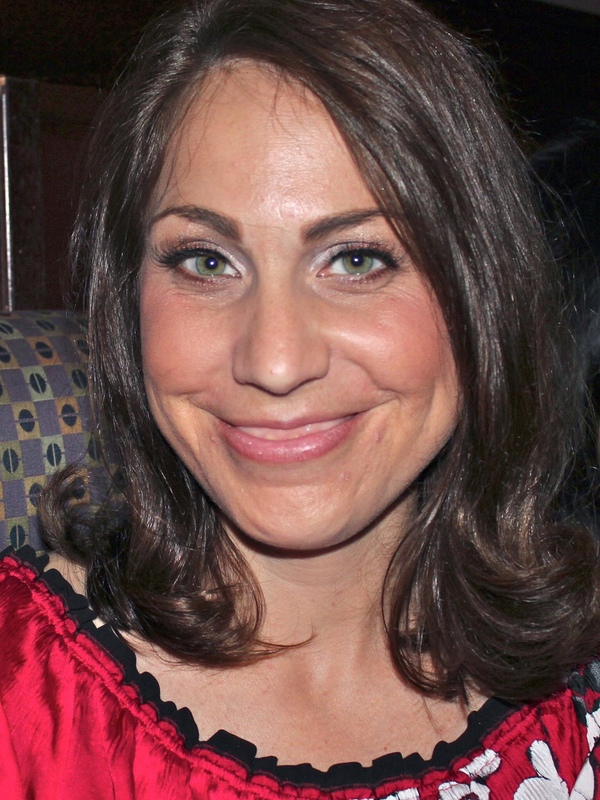 Leslie Kay is the face behind DisneyBound. Some may be surprised to know that Leslie’s only education in fashion comes from a senior fashion class which she took when she was only a sophomore. However, fashion has been a hobby of hers since a young age – coming up with the idea of character outfits based off her own clothes when she was very young. How do you show off your Disney fandom? Most people immediately think of cosplay or “costume play,” which is popular at conventions and fan events. Cosplay is the performance art of wearing costumes and accessories to represent a specific character. According to Disney Parks rules and regulations, however, costumes may not be worn by guests over the age of 14. Disneybounding is the perfect solution to the “no costume” rule. Now that you have decided to give Disneybounding a try, narrow down the character, or characters, you want to represent. Search the internet for inspiration. 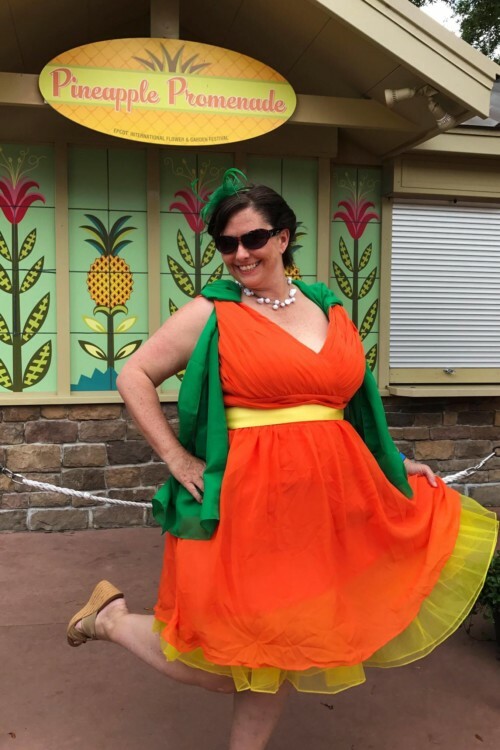 Many Disney fans over the last several years have created their own Disneybounding looks, so inspiration won’t be difficult to find. Once a character has been decided, it’s time to head to your own closet. My favorite part of Disneybounding is that, often, no extra spending is required! This is great if you are trying to exercise a little frugality while preparing for your Disney vacation. Don’t take a character literally. Trying too hard to be exact with your look will only lead to frustration and disappointment. Keep it simple. Do think about accessories. Hats, sunglasses, jewelry, headbands, and more can be added to complete a look. Shoes are another way to enhance your look, but keep in mind all the walking required on a Disney vacation! Focus on one particular part of a character to highlight in your look and emphasize that instead of trying to emphasize all of the character’s specifics. 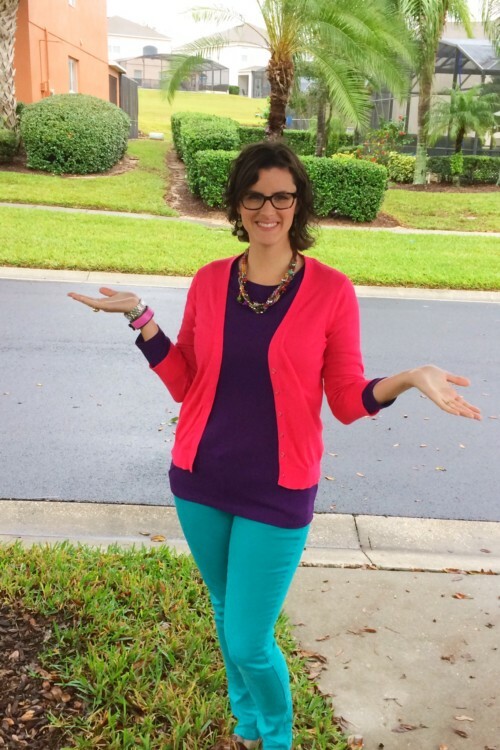 Choose solid colors to build the foundation of a Disneybound outfit. The fun comes in when you add whimsical accessories to take the look to the next level. Do keep in mind the rules put in place by Disney Parks, and don’t dip too far over into costume territory. Don’t be afraid to DIY! Let your creative side shine while Disneybounding. 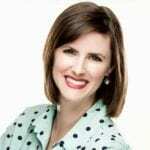 If my article has piqued your interest, check out these articles for further tips from the Traveling Mom family! Which Disney character are you going to Disneybound as first? I love the creativity behind this! I would like to try it someday. Utterly remarkable how much I don’t know about going to Disney — thank goodness for clear reporting like yours. NOW I can plan properly. Super post. Disneybounding looks like so much fun!